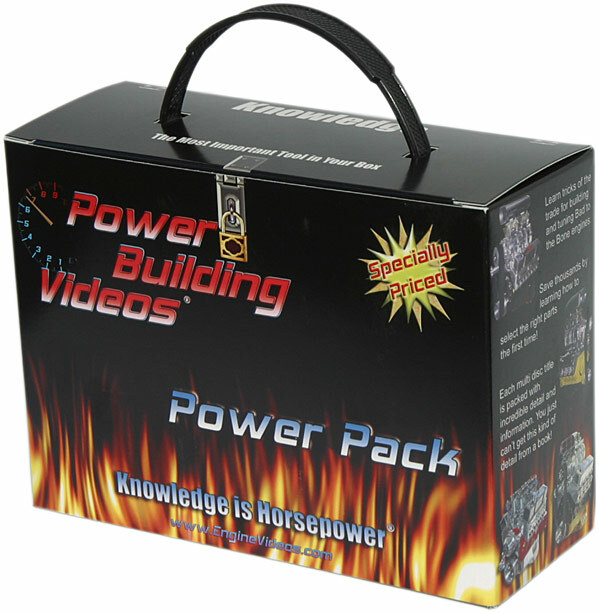 This specially priced "Power Pack" set gives you 6 of our most popular DVDs for the price of 5! That's right, you get one title for FREE! That's over 23 hours of highly detailed information! PLUS the set comes in a really cool box at no additional charge! Bring the performance auto shop right into your own home and learn everything you need to know to get your car out-performing the others! The Power Pack set makes the perfect gift for the hot rod lover in your family! Give the gift of knowledge because KNOWLEDGE IS HORSEPOWER! Please note that the Power Pack set does NOT come with the "Performance Engines & Strokers" title. If you'd like to have the FULL set of all 7 DVD titles, including "Performance Engines & Strokers", be sure to order this DVD separately. Until now, learning how to optimize, customize, and repair your ride, meant you had to either go to an expensive trade school or learn from a master mechanic. This has meant that only an elite few could gain these skills. Now, Auto Shop Videos brings you this same kind of personal experience and hands-on training from the masters in the comfort of your own garage.